Jennifer Keesmaat is vowing to reduce the speed limit to 30 km/h on all residential streets if elected mayor, and criticizing Mayor John Tory for not doing more to build safer streets. 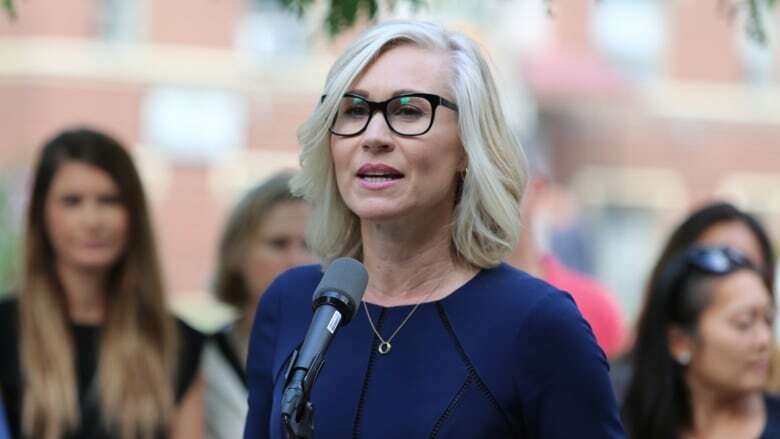 Jennifer Keesmaat is vowing to reduce the speed limit to 30 km/h on all residential streets if elected mayor — and criticizing Mayor John Tory for not doing more to build safer streets. "Too many people are dying on our streets," she told reporters at a Friday morning campaign announcement. There have been 44 people killed on Toronto's roadways in 2018, according to police statistics. That includes the deaths of 24 pedestrians — deaths Keesmaat said are preventable. 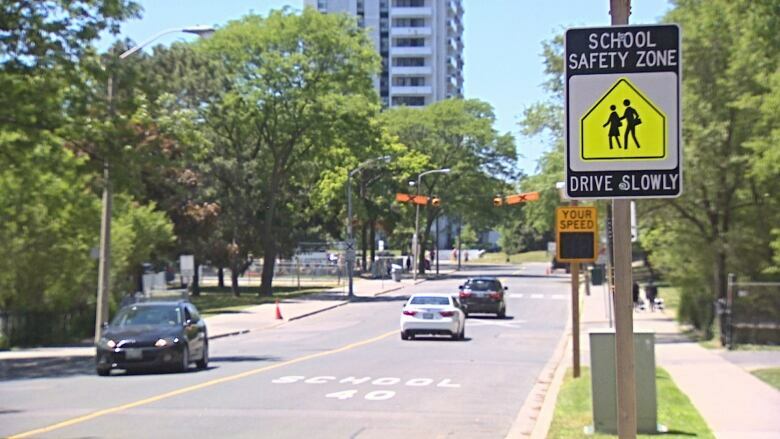 Right now, the former chief planner said there's a confusing mix of speed limits on residential streets, and added the city needs to send a stronger message to motorists that they need to go slow in areas where children are present. Keesmaat's road safety plan also includes a goal of transforming 100 of the city's most dangerous intersections, redesigning streets and sidewalks near schools, and using a Vision Zero-focused approach when rebuilding infrastructure like roads and sidewalks. That means creating streets that are "safe by design," which could include simple changes like adding planter boxes or posts at intersections to slow down cars and give pedestrians a shorter distance to walk, Keesmaat told CBC Toronto. "You become less dependent on enforcement because the road doesn't feel like a highway," she added. Keesmaat estimates her plan would cost $36 million to implement over a two-year span. Toronto's version of Vision Zero, a multi-national initiative to end traffic-related deaths, was launched two years ago. But despite the initiative starting during Mayor John Tory's first term, Keesmaat criticized what she called his "inaction" on the project — which has yet to make a concrete difference in reducing the number of road deaths. She highlighted his past votes not to speed up the Vision Zero plan — something he later opted to do — and his decision not to support a redesign of Yonge Street, in Willowdale, that road safety advocates say would have been a better option. Tory's campaign spokesperson, Keerthana Kamalavasan, told CBC Toronto that Tory is "committed to doing everything possible as quickly as possible to make our streets safer." "Since it was originally adopted, the plan has been accelerated and enhanced five times," she added in a statement. "In June, Council approved an additional $22 million bringing the total five-year investment to $109 million." Right now, she added, the city is rolling out speeding up road redesign initiatives and school safety zones, doubling the number of leading pedestrian intervals being installed this year from 40 to 80, and installing zebra markings at up to 200 additional intersections. Still, Tory's approach has been largely "reactive," said Graham Larkin, executive director for national advocacy group Vision Zero Canada. "He keeps failing to reduce death and injury on Toronto's streets. And when he's called on it he gets into his avuncular mode, reassuring voters that something will be done to make it all better before long," he said. "But too often these are timid and pointless measures, like posting Slow Down for Kids signs." Larkin instead praised Keesmaat's proposal as a "timely, bold" approach. "These are big moves, focusing on essential, failsafe measures like traffic calming and intersection design," Larkin said. "This would require serious investment of time and money in the short term, but there would be savings of money as well as lives in the future."